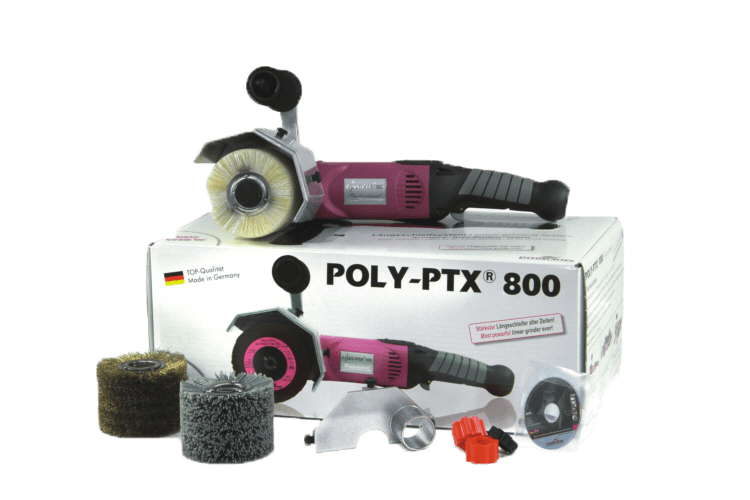 The POLY-PTX® 800 longitudinal grinding system, the all-rounder with the clever grinding system, grinds from the coarsest to the finest, satin-finishes and polishes to a mirror finish and refines surfaces of stainless steel, steel, non-ferrous metals such as brass, copper, aluminium and wood. 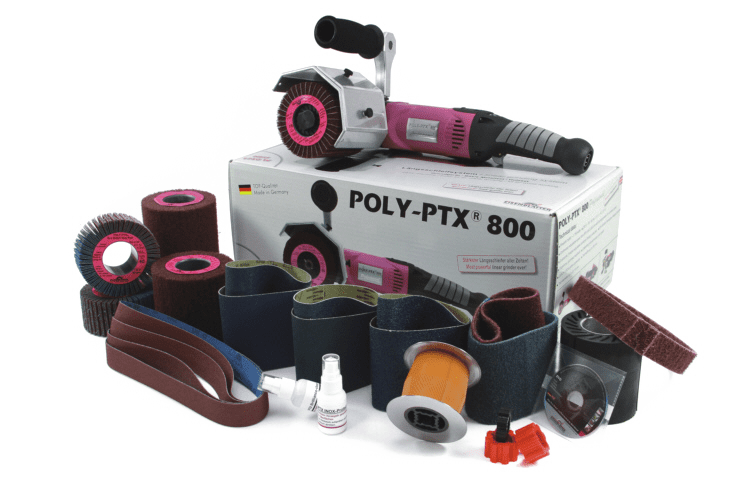 With the extensive range of grinding tools for the POLY-PTX® 800 longitudinal grinding system, almost all grinding, polishing, deburring and brushing operations can be carried out. 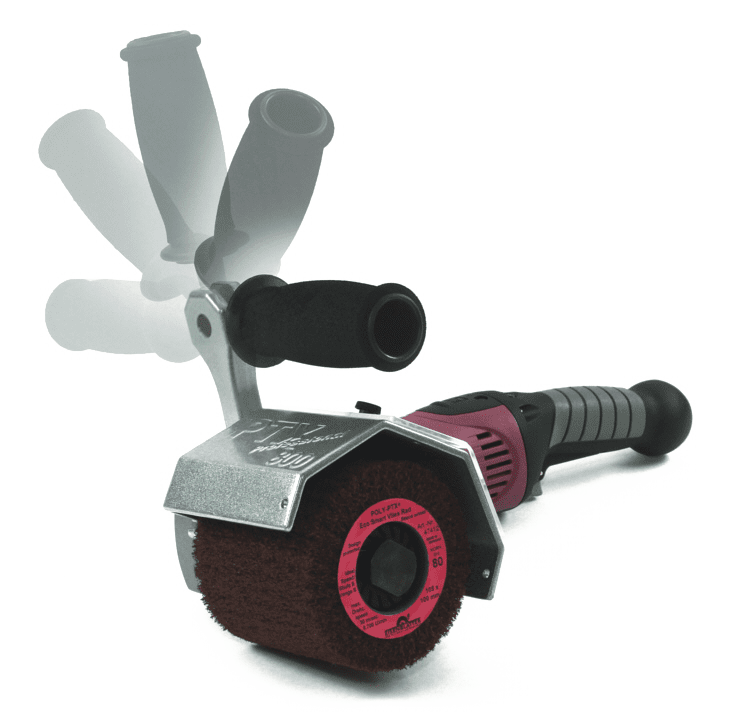 The speeds of the POLY-PTX® 800 can be set from 1,000 rpm to 3,800 rpm by means of a thumb wheel and the integrated tachometer generator guarantees a constant speed even under load. The 5-fold adjustable handle has been ergonomically designed in such a way that optimum hand guidance and fatigue-free working are possible during operation. QUICK-LOCK quick-change cable lock for different cable lengths. 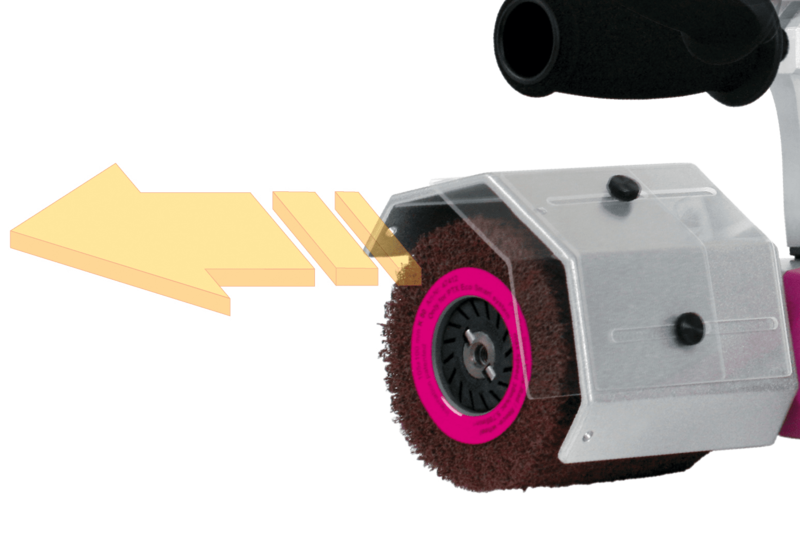 The quick-release adapter is included with every basic unit and set for faster roll change and better concentricity and thus for cost savings! The swivelling aluminium protective hood with extendable polycarbonate cover for a width of 150 mm can be infinitely adjusted to the desired position and thus guarantees maximum protection. Service cover for quick change of carbon brushes with new improved dust protection due to plastic field sealing. Perfect for shadow-free industrial polishing (matting, satin finishing) and mirror polishing on VA surfaces and tubes, including newly developed cleaning and preservative agents for optimum surface protection against stains and fingerprints. 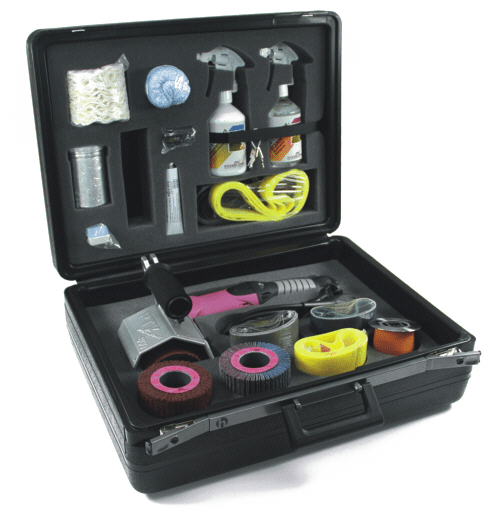 This basic set contains everything for the most common grinding work on metals (sheets, profiles, round tubes, etc.). 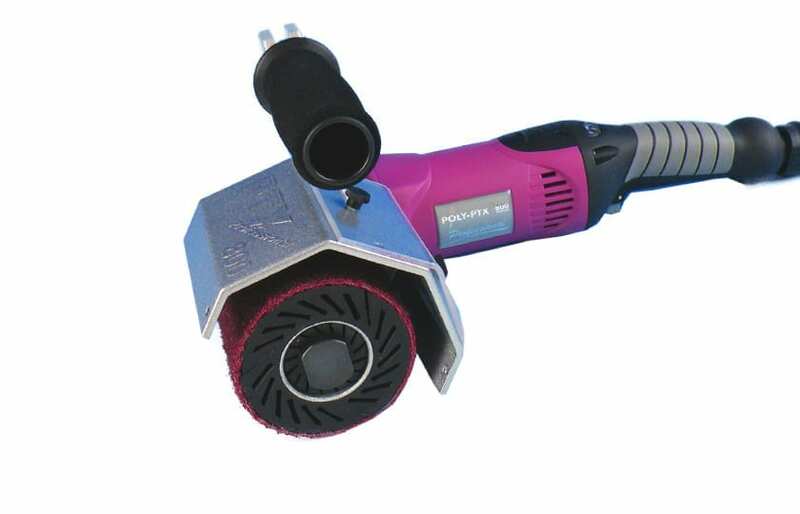 Basic set with a range of brush wheels for different wood structures from rustic to stained surface polishing and a suction cover for sanding dust extraction.